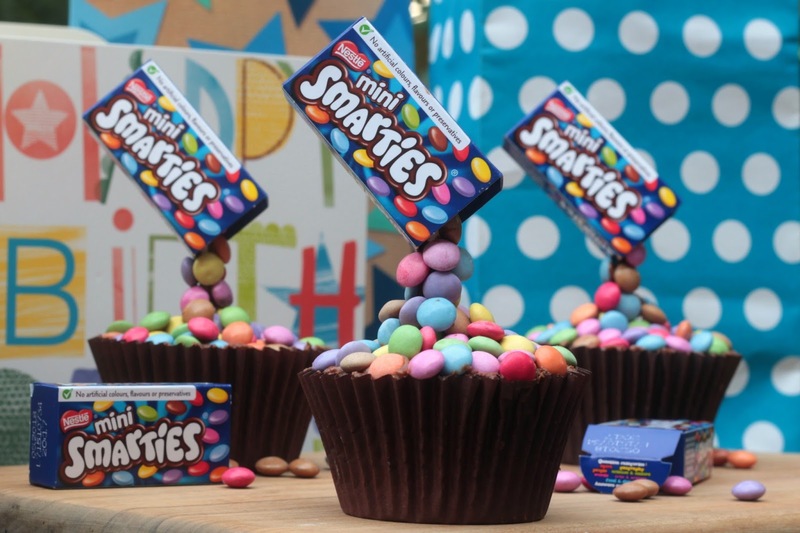 These Smarties anti gravity cupcakes are easy to make if you are a fan of illusion cakes. Tonight sees GBBO back on our screens. Hurrah! I hope! I was not happy that channel 4 took over the show and Mary is no longer in it, but I will give it a go and see if I can still love it. Once again I am planning on baking along with some other lovely bloggers and Jenny from Mummy Mishaps will be hosting a weekly linky so you can see what we all get up to. When it comes to procrastination I am a queen. I am supposed to be packing to go on holiday. Instead I am baking cupcakes. When I saw that illusion cakes was on the list for tonights show, I had to have a quick go. If you are a regular reader, you will know that I am a fan of anti gravity cakes. Why? They look impressive but are relatively simple to make. One of my favourties is my anti gravity Prosecco cake. I made 10 cupcakes using a standard cupcake recipe of 4oz butter, 4oz self raising flour, 4oz caster sugar and 2 eggs. Once your cupcakes have cooled, you need to add chocolate buttercream to the tops. Mix the icing sugar, butter and cocoa powder together with a splash of water. Ice the cakes so that the frosting is flat and level with the top of the cupcake case. Melt a few squares of chocolate. Dip the cake pop stick in the chocolate and then in the centre of the cupcake. Add some mini Smarties around the bottom of the base. 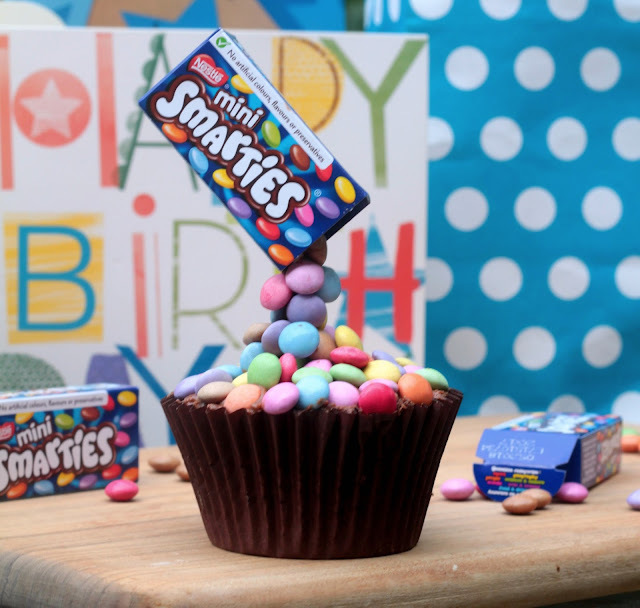 Gently press smarties into the frosting and when full place in the fridge. Finally you need to "glue" Smarties up the cake pop stick with some melted chocolate. I used a paintbrush to apply the chocolate. The key is not to rush and to put the cake in the fridge if the Smarties start to slip so that the chocolate sets. It takes one box to do the bottom and then some extra smarties to go up the stick. Finally add the box to the top of the stick.